Play these Flash or HTML5 based online slot machine games provided by NextGen Gaming at Top Free Slots. No download required to play the games - just click on the image and wait for the game to be loaded in your browser window. You can play all these NextGen Gaming Slots for free or try your luck for real money at sponsored online casinos. You can play classic slots or 5 reel video slots with multiple lines of payout, exciting bonus features, and wild and scatter symbols to increase your winning potential. 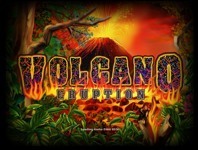 A Hot Hot Volcano is about to burst in this 25 payline, 5 reel slot game from NextGen, and this eruption is the event that you want to actually be around for. This fun slot machine offers up a free spins bonus round, a wild icon..
Medusa have been a hideous monster with snakes growing out of her head, and one direct look at Medusa would turn people to stone. In this 25-line slot adventure you'll get turned to stone Re-Spins, Free Games and..
Travel back to ancient gladiatorial times in this new 25-line video slot. Defend the nation until your last breath, when 3 or more Shield scatters appear anywhere on the reels, you will be rewarded with up to 12 free.. The Venetian Rose, 25 payline, 5-Reel slot game is a love story come true for if you love winning big. ‘The Venetian’ Rose is wild and substitutes for other symbols except the scatter ‘mask’ and doubles all your.. This is a 25 payline online slot machine from NextGen Gaming. rr Win a Pot of Gold Playing Irish Eyes You won’t believe this! This fun, cheery, chipper promises an absolutely life-changing.. Doctor Love is a popular 9-payline progressive jackpot slot game where large winnings are awarded at random spins any time except during the bonus round. 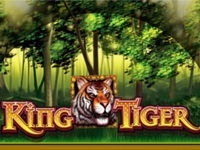 The doctor is equipped with a love meter and a stethoscope and..
King Tiger is an exciting five reel video slot game set in the depths of the jungle. Includes scatter and wild symbols as well as a free games feature! Tiger appears stacked on reels 2,3 and 4 only and substitutes for.. This 50-line video slot is packed with monkey business, as well as some cool prizes. Snakes, peanuts, coconuts, bananas, parrots, and, of course, the mad monkey make up the game's symbols. Based on a jungle theme, with.. This is a new 50 payline slot machine developed by NextGen Gaming. rr The free online Merlin’s Magic slot machine is a video game developed by NextGen Gaming. 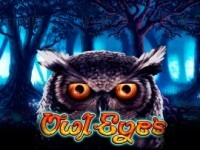 It has 5 reels with 4 rows and 50 paying..
Owl Eyes is a 50 payline slot machine game created by NextGen Gaming. rr Owl Eyes: a Mysterious Video Game That Offers Huge Wins From the brilliant minds at Leander Games comes the Owl Eyes. It is a marvellous.. This is a 20 payline online slot machine from NextGen Gaming. Game's theme: Medusa, Ancient Greece. MerlinS Magic Respins is a 50 payline slot machine developed by NextGen Gaming. rr Merlin'S Magic Respins Offers Plenty of Unique Feature Action! Released in may 2014, Merlin’S Magic Respins is another goodie from.. This is a new 50 payline slot machine game created by NextGen Gaming. rr A While on the Nile slotmachine game released in 2014, and coming from developers of NextGen gaming as a treat for all those fans of.. This 5-reel, 50-payline slot machine was released in July 2011 and it will show you more about the DC's superhero Flash and his enemies. The biggest award you can win playing The Flash Velocity online slot machine in.. This is a 50 payline slot machine developed by NextGen Gaming. rr Fancy having a mystical slot game experience ? Then this machine is a must try for you. 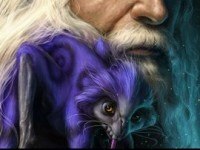 Frankly speaking, Merlin’S Millions.. Doctor Love On Vacation is a 20 payline slot machine game created by NextGen Gaming. Slots's main theme: Love, Doctors. All fans of Westerns are welcome. Play InterCasino's Wild West classic slot machine game - it's simple 3 reel and 1 line slot with 16 winning combination. Spin sheriff's badges, whiskey and gold symbols to win big on.. This is a new 243 ways to win slot machine game created by NextGen Gaming. rr NextGen Gaming brings you another beautiful nature-themed machine and encourages you toÂ play Wolfpack Pays free slot. This gamble..
Join the Dark Knight as he battles the Joker in the world's first Batman online slot. Batman is a ground-breaking 50-payline slot game that boasts stacked wilds and a Batman re-spin feature where all prizes are doubled.. Hot Roller is a video slots game that offers the excitement and thrill of a hot Vegas Craps table. The roll of the dice bonus feature delivers incredible winnings! Hot Roller Bonus Game Launching the Bonus..
Shangri La is a new 20 payline slot machine game created by NextGen Gaming. Slots's main theme: Lady Luck, Money. This is a 20 payline online slot machine from NextGen Gaming. Game's theme: Christmas. Spin Sorceress is a 20 payline slot machine developed by NextGen Gaming. This is a 20 payline slot machine game created by NextGen Gaming. Witch Pickings is a 25 payline online slot machine from NextGen Gaming. rr Witch Pickings is a free online slot developed by NextGen Gaming. You are not alone on this journey; three powerful witches are going to.. Extra Cash is the fabulous online 3D slot machine that lets you earn great prizes and up to 20 Free Spins. With this slot you'll find yourself in the early 20th century in the busy streets of the cosmopolitan city. This..
Foxin Wins Again is a 20 payline slot machine game created by NextGen Gaming. Slots's main theme: Foxes. Get a little wacky with cheeky bonus rounds in this 20 line video slot. The nutty Joker Jester itself is the key that unlocks the top jackpot, so start spinning now! Watch how Joker Jester bounces onto the reels to..
Monster Wins is a new 1024 ways to win slot machine developed by NextGen Gaming. rr The Monster Wins slot machine game has been made by NextGen Gaming and releasedÂ onÂ June 2016. ItÂ is consisted of 5 reels andÂ a..
Ramesses Riches will catapult you back in time to the kingdom of Pharaohs with this new 25-payline slot. Ramesses the Great will share his riches and fortune with you when you place 5 pharaohs on a payline. Become up to..
Robin Hood Prince Of Tweets is a new 40 payline online slot machine from NextGen Gaming. rr Take a walk through the woods with the Robin Hood Prince of Tweets slot machine game released by NextGen Gaming. Its main theme is a.. This is a 25 payline slot machine developed by NextGen Gaming. rr Looking for free bonus slot games that can bring you unique experience and lots of thrilling moments? 5 Knights is what you should..
An Evening with Holly Madison is a 20 payline slot machine game created by NextGen Gaming. This is a 25 payline online slot machine from NextGen Gaming. rr NextGen Gaming slot machines are widely played all over the world and to tell you the truth, there is no wonder why people adore their..
Bounty Hunt is a new 25 payline slot machine developed by NextGen Gaming. rr Go out in search of wanted criminals and apprehend your targets to win big rewards in the 25-line Bounty Hunt slot machine by Chance.. This is a 20 payline slot machine game created by NextGen Gaming. Slots's main theme: Amazon. Experience the fury and excitement as King Kong takes on New York City once again in his triumphant return. Bet 1 to 25 paylines, win up to 7,500 times your bet and go bananas over the wild bonus features including.. This is a 20 payline slot machine developed by NextGen Gaming. Slots's main theme: Mystery. The Cod Father is a 20 payline slot machine game created by NextGen Gaming. Slots's main theme: Fishing. This is a 20 payline online slot machine from NextGen Gaming. Game's theme: Witches. 300 Shields is a Spartan themed 25-line video slot game that was released at the end of 2011. The game is packed with exciting free spins and huge cash prizes. Thanks to the massive win multiplier, players can win up to.. This is a new 25 payline slot machine game created by NextGen Gaming. rr In A Dragon Story slot game, one of the traditional â€œknights against a dragonâ€� stories serves as a theme. Usually, it is better to..
Andre The Giant is a 25 payline online slot machine from NextGen Gaming. rr Based on the legendary wrestling character Andre the Giant, this fancy slot that has the same name will be ideal for those who adore.. This is a 20 payline slot machine developed by NextGen Gaming. Slots's main theme: Bingo. Bobby 7S is a new 25 payline slot machine game created by NextGen Gaming. rr Bobby 7S is a classic slot game created by NextGen Gaming casino software developer. The game takes place in London and tells the story.. This is a 243 ways to win online slot machine from NextGen Gaming. rr Spend a day at the richest circus on the planet and witness famed Strong Man Buster Hammer take a whack at winnings for you! This..
California Gold is a new 20 payline slot machine developed by NextGen Gaming. rr Head for the exciting goldmine adventure playing California Gold! Being based on the California Gold Rush, this amazing 5 reel, 20-line.. This is a new 20 payline slot machine game created by NextGen Gaming. Creepy Castle is a new 20 payline online slot machine from NextGen Gaming. This is a 20 payline slot machine developed by NextGen Gaming. Slots's main theme: Fiesta. rr whg Glorious Empire awaits with a magnificent gaming experience, where 40 lines with 2-way-pays and sticky wilds ignite the desire for glorious wins.An epic soundtrack and magnificent graphics transport the audience..
Gold Ahoy is a 25 payline slot machine developed by NextGen Gaming. rr Gold Ahoy, one of the most fascinating NextGen Gaming online slots, promises tons of joy and incredible pirates and treasure digging..
rr whg Golden is a 5x3 reels and 243 ways to win along with a big chase in the free games bonus round, where all 5-of-a-kinds are multiplied by the lucky number 5!10 Free Games Bonus:All 5-of-a-kind wins are..
Gorilla Go Wild is a new 25 payline online slot machine from NextGen Gaming. rr The free Gorilla Go Wild is a slotÂ machine game developed by NextGen Gaming. Its theme is inspired by Jungle, Gorillas, and other.. This is a 20 payline slot machine developed by NextGen Gaming. Slots's main theme: Jungle, Gems. Magic Scarab is a new 20 payline slot machine game created by NextGen Gaming. Slots's main theme: Ancient Egypt. This is a 25 payline online slot machine from NextGen Gaming. rr Maid O Money is a TV game show themed slot from NextGen Gaming casino software. Whether you like free casino games online or real money..
Medusa II is a 25 payline slot machine developed by NextGen Gaming. rr Those who like ancient Greece themed slots are invited to try out this intriguing game! Medusa II is created by NextGen Gaming casino.. This is a new 25 payline slot machine game created by NextGen Gaming. rr Free PandaMania is a slot game developed by the NextGen Gaming. It can be played online for free and no downloadÂ or sign up is required..
Snowflakes is a 20 payline online slot machine from NextGen Gaming. Game's theme: Winter. This is a 25 payline slot machine developed by NextGen Gaming. rr Spanish Eyes Promises a Fun and Rewarding Experience When it comes to the most fascinating NextGen Gaming casino games, Spanish Eyes is..
Super Safari is a 25 payline slot machine game created by NextGen Gaming. rr Super Safari: a Wonderful Slot with a Gamble Feature Fond of free slots with bonus rounds? Then the following wheel of fortune is likely.. This is a 20 payline online slot machine from NextGen Gaming. rr We have seen many slots with fish symbols, but could we have ever imagined that with a bit of creativity they can look like this? Fish.. The Odd Forest is a 20 payline slot machine developed by NextGen Gaming. Slots's main theme: Forest. This is a 20 payline slot machine game created by NextGen Gaming. Slots's main theme: Scientist. Theatre of Night is a new 20 payline online slot machine from NextGen Gaming. Game's theme: Nightlife. This is a 20 payline slot machine developed by NextGen Gaming. Wild Cat Canyon is a 20 payline slot machine game created by NextGen Gaming. rr Have you been searching for a slot that can bring you lots of thrill and excitement? You asked for it, you got it- Wild Cat Canyon, a.. This is a new 25 payline online slot machine from NextGen Gaming. rr Feeling rebellious? Love fast cars and motorcycles? Then you will love this slot. The James Dean slot machine game runs on the NextGen..
Cash Stampede is a new 243 ways to win slot machine developed by NextGen Gaming. rr Cash Stampede slot game is NextGen Gaming's machine that gives a chance to win free spins and double or quadruple your win. It involves..
InterCasino has themed this 30-line slot on the prestigious casino portal Casinomeister, featuring symbols such as pigs clad in Gestapo jackets representing rogue casinos. You'll love this take on the world of..
Egyptian Rise is a 20 payline online slot machine from NextGen Gaming. Game's theme: Ancient Egypt. This is a 20 payline slot machine developed by NextGen Gaming. Slots's main theme: Jokers, Jackpot. Jacks Beanstalk is a 20 payline slot machine game created by NextGen Gaming. Slots's main theme: Fairy Tale. This is a new 20 payline online slot machine from NextGen Gaming. Game's theme: Cooking. Napoleon Boney Parts is a 20 payline slot machine developed by NextGen Gaming. Slots's main theme: History. This is a 20 payline slot machine game created by NextGen Gaming. Slots's main theme: Robin Hood. The Lost Riches of Amazon is a new 20 payline online slot machine from NextGen Gaming. Game's theme: Amazon, Jungle. rr Play Judge Dredd free slot by NextGen Gaming for an experience with the famous British comic book character, Judge Dredd. The game is the enforcer on the streets, looking to bring justice wherever it is needed. You.. This is a new 25 payline online slot machine from NextGen Gaming. rr The free video slot Teddy Bears Picnic presented by Nextgen Gaming takes back the audience into some sweet childhood memories. Nice.. Buccaneers Bay is a new 20 payline slot machine developed by NextGen Gaming. Slots's main theme: Pirates. This is a 20 payline slot machine game created by NextGen Gaming. Slots's main theme: Witches, Halloween. Cherry Blossoms features blossoming beautiful flowers and the stunning Geisha on the 5 reels of the 20 payline slot. Free spins bloom just like the flowers do, when 3, 4 or 5 Cherry Blossom icons appear on the reels.. This is a new 20 payline slot machine developed by NextGen Gaming. Slots's main theme: Horses. Justice League is a 20 payline slot machine game created by NextGen Gaming. This is a 20 payline online slot machine from NextGen Gaming. Manic Millions is a 20 payline slot machine developed by NextGen Gaming. This is a new 20 payline slot machine game created by NextGen Gaming. Slots's main theme: Money. Tootin Car Man is a new 20 payline online slot machine from NextGen Gaming. rr Tootin Car Man: a Fabulous Slot with 3 Bonus Features If you love cars themed free slot games online no download no registration.. This is a 20 payline slot machine developed by NextGen Gaming. Slots's main theme: Chinese. Set within the greenery of the Amazon rainforest, 1Can, 2Can is certainly among the finest online slot machines today. Dive into the jungles of South America to discover this modern game! Created by NextGen Gaming, the.. This is a new 25 payline online slot machine from NextGen Gaming. rr When skills and talent for making remarkable casino entertainment collide, you end up with Double Play Superbet slot machine game coming..
Dr Love On Vacation is a 20 payline slot machine developed by NextGen Gaming. rr Dr Love On Vacation: an Original and Exciting Slot Want to try out something really breathtaking? We've got you covered! Dr Love On..
rr This innovative five- reel, 25 pay-line slot, which is called Dragon Drop, is definitely a must-try game for every avid NextGen Gaming slot games lover. Wondering why? The answer is, in fact, rather evident-NextGen.. This is a cute video slot that is produced by NextGen. Apart from superb quality graphics and sound effects, this 25 payline, 5 reel game is packed with bonus features. The main theme here is motorbike, so the slot will..
Emperors Garden offers superb graphics, top-quality beautiful imagery, exceptional game performance and stunning sound effects. This highly intriguing game uses the 5 reel, 25 pay-line format, providing you with lots of..
Enchanted Mermaid is a 25 payline slot machine game created by NextGen Gaming. rr Enchanted Mermaid found among NextGen Gaming games is an underwater-themed slot with symbols like fish, shells, pearls, seahorses and..